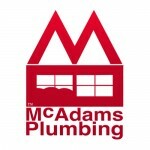 New Water Heater Regulations 2015 - McAdams Plumbing, Inc. The Department of Energy announced new water heater regulations and standards that began April 16, 2015. These changes will effect how water heaters are designed, manufactured, tested, distributed, and installed. These changes will affect manufacturers, wholesalers, installers and customers alike (Bradford White). All water heaters produced after April 16, 2015 need to conform to new energy standards, making all models run more efficiently. The changes are anticipated to save approximately 3.3 quads of energy and result in approximately $63 billion in energy bill savings for products shipped from 2015-2044. The standard will avoid about 172.5 million metric tons of carbon dioxide emissions, equivalent to the annual greenhouse gas emissions of about 33.8 million automobiles (DOE). The chart below outlines the increased efficiencies that new models must meet. While we all can agree that these are noble and necessary changes, we must also be aware of the inevitable increase in water heater prices that has followed. Bradford White alone anticipates a 15-35% increase on ALL water heater prices to off-set the costs of buying new mandatory machinery, adjusting their factories to handle the new, larger model water heaters, as well as the unforeseen costs of building, inspecting, and shipping the new models. Bradford White also developed an excellent Q & A section that outlines how we will be affected by the new regulations. This information can be found on their website at http://www.bradfordwhite.com/doe-department-energy-final-rule-effective-04162015-frequently-asked-questions. You can also read more on the Department of Energy’s site: http://www1.eere.energy.gov/buildings/appliance_standards/product.aspx/productid/27. We hope that this information helps prepare you for the road ahead. We understand the importance of making a proper investment in your home with a great water heater and a high quality installation. We want these changes to be as clear to you as possible so if you would like clarification on any of the changes or simply have questions on how you may be affected, please feel free to call us at 303-465-1900.